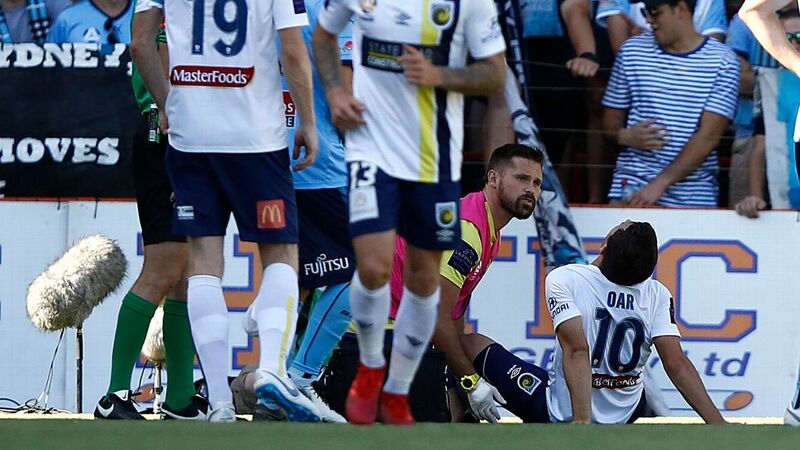 Central Coast will be sweating on scans on star midfielder Tommy Oar after he suffered a knee injury in the Mariners' 1-1 A-League draw with Sydney FC. Oar limped off the field in the first half on Sunday after attempting an aerial challenge on Sky Blues defender Alex Wilkinson that resulted in him collapsing to the turf. There were initial fears the former Socceroo had torn his ACL, however it was later described as a hyperextension of his knee. Mariners coach Mike Mulvey says scans will reveal the damage. "We think that the knee is intact. I've heard that he's going to go for an MRI [on Monday]," Mulvey said after the game. The latest setback is the latest in a torrid run of injuries that has cruelled Oar's first campaign with the Mariners this season. The 27-year-old was making his first start in over a month, having also battled knee issues that kept him out for almost all of November and December. "He can't buy a trick since he's joined us," Mulvey said. "He said his foot stuck on the pitch, it was a little bit spongy. But he did roll his ankle so that maybe took a little bit of pressure off the knee." The Mariners were able to grind out a point against the Sky Blues despite having just 38 percent of the possession and five shots on goal. Tommy Oar limped off the field in the first half of Central Coast Mariners' 1-1 draw with Sydney FC on Sunday. 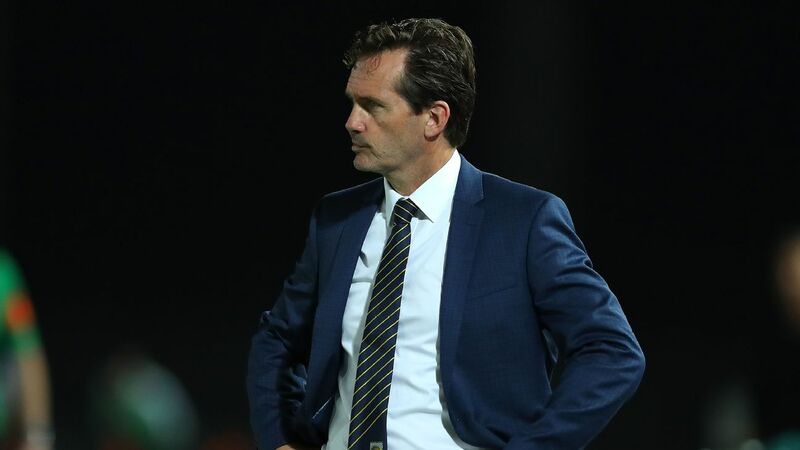 Given their struggles this year Mulvey is hopeful the result could prove a turning point heading into the final eight games of the season. The perennial battlers have a chance to close the five-point gap between them and ninth-placed Brisbane when they host the Roar on Friday. "One hundred percent we can build on this," Mulvey said. "I go through every game that we played in January after the Sydney [game], we were in positions to win games. "For one reason or another, whether it be send-offs, whether we run out of gas, whether we lost concentration or whatever, we didn't see it out. "I think that is a significant result today. "It's a significant marker that we put down that the boys can go say, 'You know what, if we really dig in, we knew we were going to get a bit of luck.'"